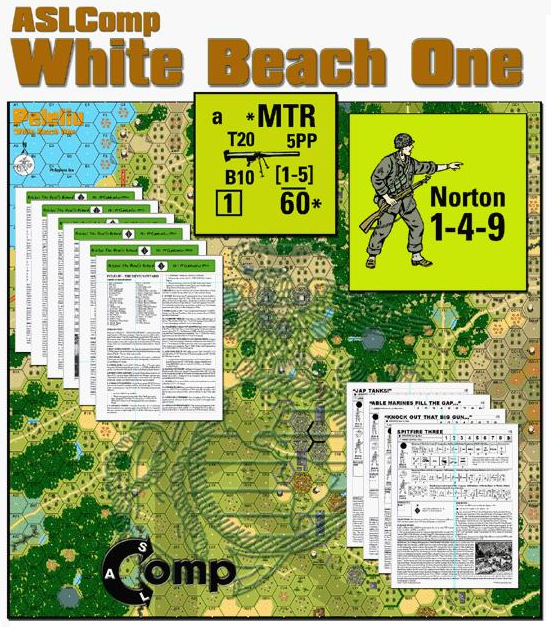 White Beach One: Peleliu 1944 is just for you if you are ready to smash your way ashore at the infamous island, as one of the soldiers of the 1st Marine Regiment under Marine nonpariel Chesty Puller. It's for you if you are ready for a colorful map, new die-cut counters depicting weapons like the T20 shoulder-fired mortar. If you want historical leader counters, a battlefield unlike any other in the annals of historical modules. Taut scenarios, easily digest special rules in two column format. A second set of the die cut counters FREE!